Winter is, without a doubt, one of my favorite times to embark on a camping adventure. There’s something about freezing air that makes sleeping outside even more special. Every component of camp takes on a new meaning when you have to survive in sub zero temperatures. Campfires quickly transform into an important source of warmth and survival, camp food seems more nourishing. In the winter, selecting the right gear to bring along becomes even more important than other times of year. You must be precise about what temperature sleeping bag you will bring along, what type of sleeping pad will provide the best insulation, which clothes will be the most efficient, etc. A good four-season tent is one of the most important gear items for the whole trip. The right tent could be the difference between having a comfortable night in the great outdoors and the longest, coldest night of your life. The first step in finding the right tent for winter camping is understanding how a four-season tent works in the winter. A lot of campers assume that a reliable two or three season tent offers as much protection as a competing four-season model. However, you may find that while standard tents do OK in the winter, there is a noticeable difference in the level of protection provided by a solid four-season tent — especially when it comes to heavy snow. There are several factors that differentiate four-season tents from warmer weather models. First of all, the shape allows snow to fall off the sides of the tent, rather than weigh down the middle. 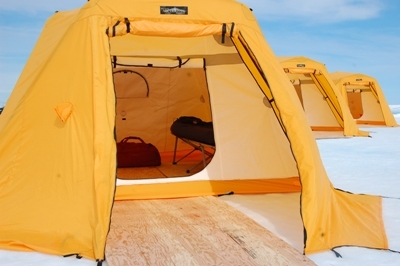 Winter tents also have thicker walls, which provides extra insulation and wind protection. Finally, four-season tents are designed to withstand his winds and ultra-cold temperatures, making them much more durable than other models. Here are five of the best tents that provide this level of protection. Reccommened for use only in below freezing temperatures, the Mountain Hardwear EV 2 is the ultimate winter camping tent. Designed through a collaboration with American mountain climber Ed Viesturs, this low weight 2-person tent is intended to shelter climbers in harsh, high-altitude climates. The tent’s stiff but lightweight fabric and increased strength from a third pole, distinguishes the EV 2 as an exceptionally strong single-wall four-season model. 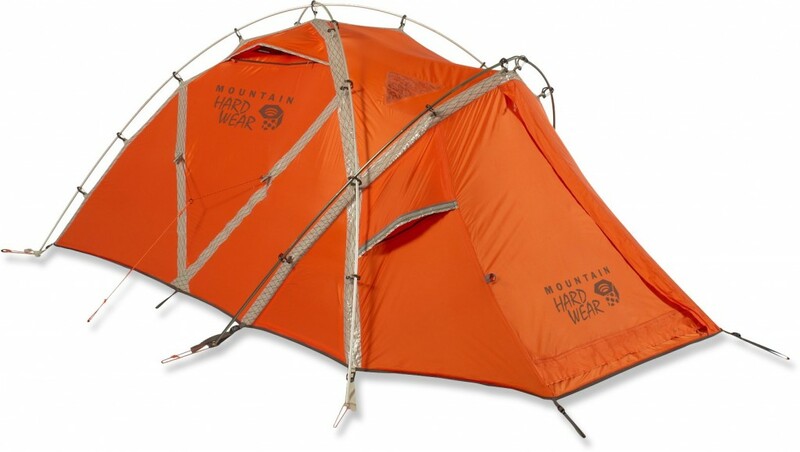 Mountain Hardwear Four-Season Tent Available at REI for $700. A watertight snow port in the floor that provides an exit point for accumulated frost and snow gives the tent even more winter protection. Weight: 4 lbs. 10 oz. Imagine getting caught on the top of a mountain in a winter storm with high winds and dense snow. Those are the precise conditions Marmot planned for when designing the Thor 3-person four-season tent. The tent’s six-pole design fights off wind while the polyurethane-coated rain fly and floor repel rain and snow. The tent’s Knees Pole System, in turn, creates a comfortable interior space. Deigned for high-altitude climbing and tested in brutal conditions, the tent promises to hold up on mountain tops across the Rocky Mountains. 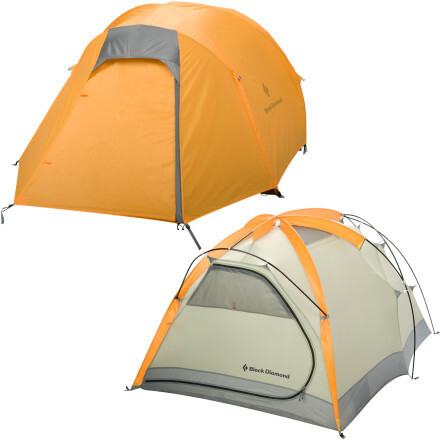 Get the Marmot Thor 3-Person 4-Season Tent for around $550. 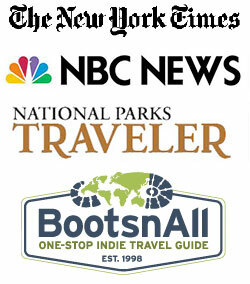 When it comes to winter camping, you can trust that Alaskans know what they are talking about. And when it comes to winter tents, the Arctic Oven four-season tents from Alaska Tent & Tarp are about as good as it gets. These tents are so warm and durable that they have been used for years to shelter researchers in the North and South Poles. Made of water-repellent Vapex™ and other fire repellent material, the tent has a condensation-free interior and is often used with an internal stove for extra heat. Carrying a hefty price tag of $1,945, these tents are designed for long-term camping in mega-cold temperatures. The Arctic Oven 10 features steep side walls and 90 square feet of space. When used with a stove — available for sale as an additional accessory — the tent houses three people comfortably. Without the stove, it sleeps four to five. The lightweight Big Agnes String Ridge 2 Four-Season 2-Person Tent is easy to set up, lightweight and provides ample protection from the elements — making it a great option to house you and a friend on your next winter backpacking excursion. Weighing in at a minimum 5 lbs, with a simple two pole set-up of lightweight, durable poles, the tent is a lighter weight alternative to other four-season competitors. The Silicone-treated, polyurethane-coated ripstop nylon, in turn, provides waterproof protection from snow and rain. 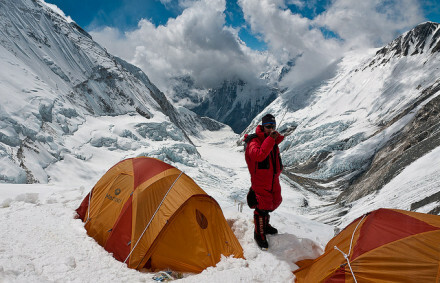 Keep in mind, this tent is not as durable as the heartier mountaineering tents in this list. Don’t expect it’s two-pole design to protect you from 60 mph winds or 20 below zero temps. However, for more moderate winter backpacking, it should do just fine. The Big Agnes String Ridge 2 Four-Season Tent is available for $650 at REI. Floor Dimensions: 90 x 57 inches. If you’re worried about wind lifting your tent away in a winter storm, then the double wall Black Diamond Stormtrack tent should give you peace of mind. This two-person, four-season tent offers 15 stakeout points to anchor it down so that you can hunker down comfortably as the storm rages outside. The Black Diamond Stormtrack tent is available for around $500 — making it the most affordable of the best five four-season tents. $500 is still an investment, I know, but it’s hard to cut costs on the high-quality, durable materials needed for these tents to endure winter weather. 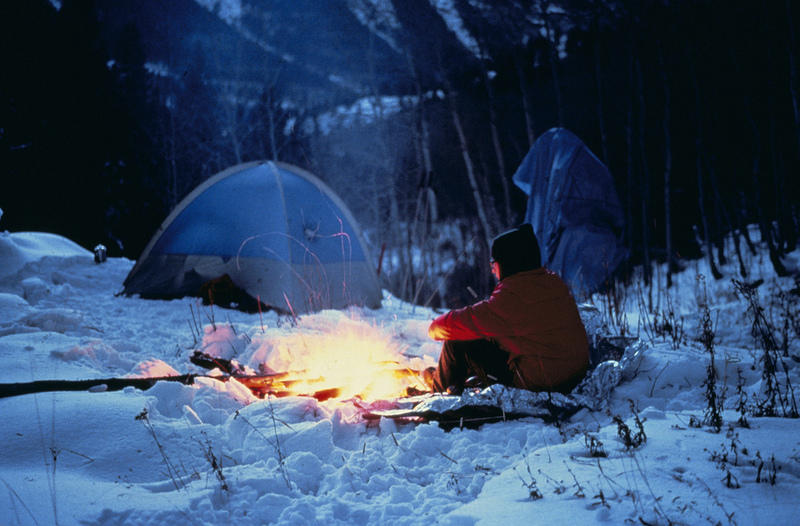 What’s your stance on winter camping? Is it worth investing in a new tent for? Or is it better to wait out the season? Wait out the season !?! And miss the enjoyment of tenting in the winter months? Blasphemy. There are several three season tents worthy of winter camping or cheaper options such as tipis.